It’s rather surprising to hear that from him: this is a rather philosophical statement, indeed, and Feynman doesn’t like philosophy (see, for example, what he writes on the philosophical implications of the Uncertainty Principle). Indeed, while most physicists – or scientists in general, I’d say – will admit there is some value in a philosophy of science (that’s the branch of philosophy concerned with the foundations and methods of science), they will usually smile derisively when hearing someone talk about metaphysics. However, if metaphysics is the branch of philosophy that deals with ‘first principles’, then it’s obvious that the Standard Model (SM) in physics is, in fact, also some kind of ‘metaphysical’ model! 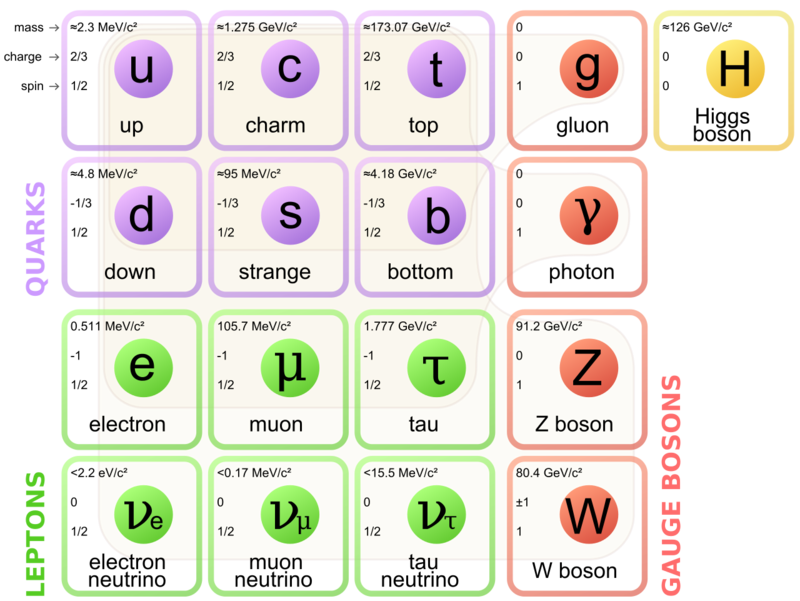 Indeed, what everything is said and done, physicists assume those complex-valued wave functions are, somehow, ‘real’, but all they can ‘see’ (i.e. measure or verify by experiment) are (real-valued) probabilities: we can’t ‘see’ the probability amplitudes. In any case… Let’s leave the jokes and the silly comparisons aside, as that’s not what I want to write about in this post (if you want to read more about this, I’ll refer you another blog of mine). In this post, I want to present the basics of vector calculus, an understanding of which is absolutely essential in order to gain both a mathematical as well as a ‘physical’ understanding of what fields really are. So that’s classical mechanics once again. However, as I found out, one can’t study quantum mechanics without going through the required prerequisites. So let’s go for it. The term ‘vector’ often refers to a (one-dimensional) array of numbers. In that case, a vector is, quite simply, an element of Rn, while the array will be referred to as an n-tuple. This definition can be generalized to also include arrays of alphanumerical values, or blob files, or any type of object really, but that’s a definition that’s more relevant for other sciences – most notably computer science. In math and physics, we usually limit ourselves to arrays of numbers. However, you should note that a ‘number’ may also be a complex number, and so we have real as well as complex vector spaces. The most straightforward example of a complex vector space is the set of complex numbers itself: C. In that case, the n-tuple is a ‘1-tuple’, aka as a singleton, but the element in it (i.e. a complex number) will have ‘two dimensions’, so to speak. [Just like the term ‘vector’, the term ‘dimension’ has various definitions in math and physics too, and so it may be quite confusing.] However, we can also have 2-tuples, 3-tuples or, more in general, n-tuples of complex numbers. In that case, the vector space is denoted by Cn. I’ve written about vector spaces before and so I won’t say too much about this. A vector can also be a point vector. In that case, it represents the position of a point in physical space – in one, two or three dimensions – in relation to some arbitrarily chosen origin (i.e. the zero point). As such, we’ll usually write it as x (in one dimension) or, in three dimensions, as (x, y, z). More generally, a point vector is often denoted by the bold-face symbol R. This definition is obviously ‘related’ to the definition above, but it’s not the same: we’re talking physical space here indeed, not some ‘mathematical’ space. Physical space can be curved, as you obviously know when you’re reading this blog, and I also wrote about that in the above-mentioned post, so you can re-visit that topic too if you want. Here, I should just mention one point which may or may not confuse you: while (two-dimensional) point vectors and complex numbers have a lot in common, they are not the same, and it’s important to understand both the similarities as well as the differences between both. For example, multiplying two vectors and multiplying two complex numbers is definitely not the same. I’ll come back to this. A vector can also be a displacement vector: in that case, it will specify the change in position of a point relative to its previous position. Again, such displacement vectors may be one-, two-, or three-dimensional, depending on the space we’re envisaging, which may be one-dimensional (a simple line), two-dimensional (i.e. the plane), three-dimensional (i.e. three-dimensional space), or four-dimensional (i.e. space-time). A displacement vector is often denoted by s or ΔR, with the delta indicating we’re talking a a distance or a difference indeed: s = ΔR = R2 – R1 = (x2 – x1, y2 – y1, z2 – z1). That’s kids’ stuff, isn’t it? 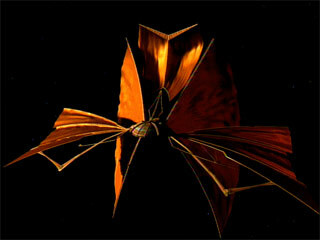 A vector may also refer to a so-called four-vector: a four-vector obeys very specific transformation rules, referred to as the Lorentz transformation. In this regard, you’ve surely heard of space-time vectors, referred to as events, and noted as X = (ct, r), with r the spatial vector r = (x, y, z) and c the speed of light (which, in this case, is nothing but a proportionality constant ensuring that space and time are measured in compatible units). So we can also write X as X = (ct, x, y, z). However, there is another four-vector which you’ve probably also seen already (see, for example, my post on (special) Relativity Theory): P = (E/c, p), which relates energy and momentum in spacetime. Of course, spacetime can also be curved. In fact, Einstein’s (general) Relativity Theory is about the curvature of spacetime, not of ordinary space. But I should not write more about this here, as it’s about time I get back to the main story line of this post. In a text on physics, the term ‘vector’ may refer to any of the above but it’s often the second and third definition (point and/or displacement vectors) that will be implicit. As mentioned above, I want to write about the fifth ‘type’ of vector: vector operators. Now, the title of this post is ‘vector calculus’, and so you’ll immediately wonder why I say these vector operators may or may not be defined as vectors. Moreover, the fact of the matter is that these operators operate on yet another type of ‘vector’ – so that’s a sixth definition I need to introduce here: field vectors. Let’s dive straight into it. Vector fields like E and B behave like h, which is the symbol used in a number of textbooks for the heat flow in some body or block of material: E, B and h are all vector fields derived from a scalar field. Huh? Scalar field? Aren’t we talking vectors? We are. If I say we can derive the vector field h (i.e. the heat flow) from a scalar field, I am basically saying that the relationship between h and the temperature T (i.e. the scalar field) is direct and very straightforward. Likewise, the relationship between E and the scalar field Φ is also direct and very straightforward. Let’s look at h and T. As you know, the temperature is a measure for energy. In a block of material, the temperature T will be a scalar: some real number that we can measure in Kelvin, Fahrenheit or Celsius but – whatever unit we use – any observer using the same unit will measure the same at any given point. That’s what distinguishes a ‘scalar’ quantity from ‘real numbers’ in general: a scalar field is something real. It represents something physical. A real number is just… Well… A real number, i.e. a mathematical concept only. The same is true for a vector field: it is something real. As Feynman puts it: “It is not true that any three numbers form a vector [in physics]. It is true only if, when we rotate the coordinate system, the components of the vector transform among themselves in the correct way.” What’s the ‘correct way’? It’s a way that ensures that any observer using the same unit will measure the same at any given point. Temperature, the ‘height‘ of a body in a gravitational field, or the pressure distribution in a gas or a fluid, are all examples of scalar fields: they are just (real) numbers from a math point of view but, because they do represent a physical reality, these ‘numbers’ respect certain mathematical conditions: in practice, they will be a continuous or continuously differentiable function of position. Heat flow (h), the velocity (v) of the molecules/atoms in a rotating object, or the electric field (E), are examples of vector fields. As mentioned above, the same condition applies: any observer using the same unit should measure the same at any given point. 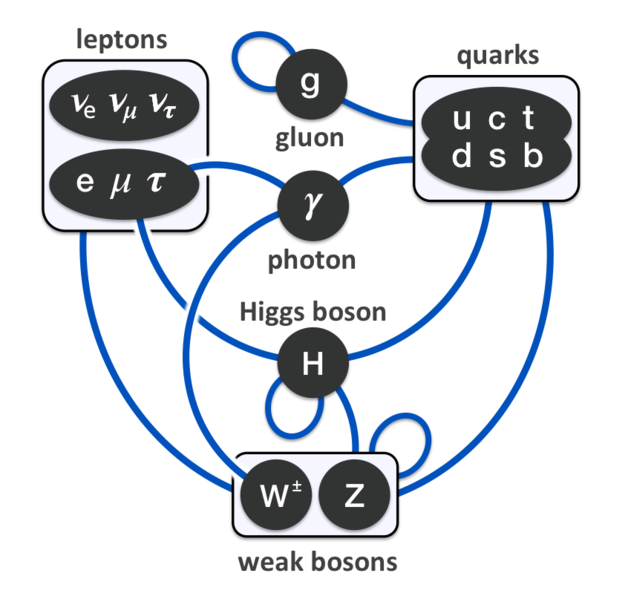 Tensors, which represent, for example, stress or strain at some point in space (in various directions), or the curvature of space (or spacetime, to be fully correct) in the general theory of relativity. Finally, there are also spinors, which are often defined as a “generalization of tensors using complex numbers instead of real numbers.” They are very relevant in quantum mechanics, it is said, but I don’t know enough about them to write about them, and so I won’t. How do we derive a vector field, like h, from a scalar field (i.e. T in this case)? The two illustrations below (taken from Feynman’s Lectures) illustrate the ‘mechanics’ behind it: heat flows, obviously, from the hotter to the colder places. At this point, we need some definitions. Let’s start with the definition of the heat flow: the (magnitude of the) heat flow (h) is the amount of thermal energy (ΔJ) that passes, per unit time and per unit area, through an infinitesimal surface element at right angles to the direction of flow. When I say ‘simple’, I must add that all is relative, of course, Frankly, I myself did not immediately understand why the heat flow through the Δa1 and Δa2 areas below must be the same. That’s why I added the blue square in the illustration above (which I took from Feynman’s Lectures): it’s the same area as Δa1, but it shows more clearly – I hope! – why the heat flow through the two areas is the same indeed, especially in light of the fact that we are looking at infinitesimally small areas here (so we’re taking a limit here). In this case, h·n = |h||n|cosθ = |h|·1·cosθ = |h|cosθ = h·cosθ. What we are saying here is that we get the component of the heat flow that’s perpendicular (or normal, as physicists and mathematicians seem to prefer to say) to the surface Δa2 by taking the dot product of the heat flow h and the unit normal n. We’ll use this formula later, and so it’s good to take note of it here. OK. Let’s get back to the lesson. The only thing that we need to do to prove that ΔJ/Δa2 = (ΔJ/Δa1)cosθ formula is show that Δa2 = Δa1/cosθ or, what amounts to the same, that Δa1 = Δa2cosθ. Now that is something you should be able to figure out yourself: it’s quite easy to show that the angle between h and n is equal to the angle between the surfaces Δa1 and Δa2. The rest is just plain triangle trigonometry. For example, when the surfaces coincide, the angle θ will be zero and then h·n is just equal to |h|cosθ = |h| = h·1 = h = ΔJ/Δa1. The other extreme is that orthogonal surfaces: in that case, the angle θ will be 90° and, hence, h·n = |h||n|cos(π/2) = |h|·1·0 = 0: there is no heat flow normal to the direction of heat flow. OK. That’s clear enough. The point to note is that the vectors h and n represent physical entities and, therefore, they do not depend on our reference frame (except for the units we use to measure things). That allows us to define vector equations. If you like to see a formal proof of this, I’ll refer you to Feynman once again – but I think the intuitive argument will do: if temperature and space are real, then the derivatives of temperature in regard to the x-, y- and z-directions should be equally real, isn’t it? Let’s go for the more intricate stuff now. In this equation, we used the ∇ (del) operator, i.e. the vector differential operator. It’s an operator like the differential operator ∂/∂x (i.e. the derivative) but, unlike the derivative, it returns not one but three values, i.e. a vector, which is usually referred to as the gradient, i.e. ∇T in this case. More in general, we can write ∇f(x, y, z), ∇ψ or ∇ followed by whatever symbol for the function we’re looking at. That’s why we write ∇ in bold-type too, just like the vector R. Indeed, using bold-type (instead of an arrow or so) is a convenient way to mark a vector, and the difference (in print) between ∇ and ∇ is subtle, but it’s there – and for a good reason as you can see! If ∇T is a vector, what’s its direction? Think about it. […] The rate of change of T in the x-, y- and z-direction are the x-, y- and z-component of our ∇T vector respectively. In fact, the rate of change of T in any direction will be the component of the ∇T vector in that direction. Now, the magnitude of a vector component will always be smaller than the magnitude of the vector itself, except if it’s the component in the same direction as the vector, in which case the component is the vector. [If you have difficulty understanding this, read what I write once again, but very slowly and attentively.] Therefore, the direction of ∇T will be the direction in which the (instantaneous) rate of change of T is largest. In Feynman’s words: “The gradient of T has the direction of the steepest uphill slope in T.” Now, it should be quite obvious what direction that really is: it is the opposite direction of the heat flow h.
The direction of heat flow is opposite to the direction of the gradient vector ∇T. Hence, heat flows from higher to lower temperature (i.e. ‘downhill’), as we would expect, of course!). So that’s the minus sign. The magnitude of h is proportional to the magnitude of the gradient ∇T, with the constant of proportionality equal to κ (kappa), which is called the thermal conductivity. Now, in case you wonder what this means (again: do go beyond the math, please! ), remember that the heat flow is the flow of thermal energy per unit area (and per unit time, of course): |h| = h = ΔJ/Δa. Now, we defined ΔJ/ΔA as the magnitude of h. As for its direction, it’s obviously perpendicular (not parallel) to the isothermals. Now, as Δs tends to zero, ΔT/Δs is nothing but the rate of change of T with position. We know it’s the maximum rate of change, because the position change is also perpendicular to the isotherms (if the faces are parallel, that tiny distance Δs is perpendicular). Hence, ΔT/Δs must be the magnitude of the gradient vector (∇T). As its direction is opposite to that of h, we can simply pop in a minus sign and switch from magnitudes to vectors to write what we wrote already: h = –κ∇T. We have a scalar field here, the temperature T – but it could be any scalar field really! When we have the ‘formula’ for the scalar field – it’s obviously some function T(x, y, z) – we can derive the heat flow h from it, i.e. a vector quantity, which has a property which we can vaguely refer to as ‘flow’. Indeed, the situation is entirely analogous from a mathematical point of view. For example, we have the same minus sign, so E also ‘flows’ from higher to lower potential. Where’s the factor of proportionality? Well… We don’t have one, as we assume that the units in which we measure E and Φ are ‘fully compatible’ (so don’t worry about them now). Of course, as mentioned above, this formula for E is only valid in electrostatics, i.e. when there are no moving charges. When moving charges are involved, we also have the magnetic force coming into play, and then equations become a bit more complicated. However, this extra complication does not fundamentally alter the logic involved, and I’ll come back to this so you see how it all nicely fits together. Note: In case you feel I’ve skipped some of the ‘explanation’ of that vector equation h = –κ∇T… Well… You may be right. I feel that it’s enough to simply point out that ∇T is a vector with opposite direction to h, so that explains the minus sign in front of the ∇T factor. The only thing left to ‘explain’ then is the magnitude of h, but so that’s why we pop in that kappa factor (κ), and so we’re done, I think, in terms of ‘understanding’ this equation. But so that’s what I think indeed. Feynman offers a much more elaborate ‘explanation‘, and so you can check that out if you think my approach to it is a bit too much of a shortcut. Back to the lesson. Let me jot down the formula once again: h·n = |h||n|cosθ = h·cosθ. Hence, the number we get here is h (i.e. the amount of heat flow in the direction of flow) multiplied by cosθ, with θ the angle between (i) the surface we’re looking at (which, as mentioned above, is any surface really) and (ii) the surface that’s perpendicular to the direction of flow. That brings me to the second thing you should – always and immediately – remember from all of that I’ve written above. Now, what does this say really? ΔR is an (infinitesimal) displacement vector: ΔR = (Δx, Δy, Δz). Hence, it has some direction. To be clear: that can be any direction in space really. So that’s simple. What about the second factor in this dot product, i.e. that gradient vector ∇T? The direction of the gradient (i.e. ∇T) is not just ‘any direction’: it’s the direction in which the rate of change of T is largest, and we know what direction that is: it’s the opposite direction of the heat flow h, as evidenced by the minus sign in our vector equations h = –κ∇T or E = –∇Φ. So, once again, we have a (scalar) product of two vectors here, ∇T·ΔR, which yields… Hmm… Good question. That ∇T·ΔR expression is very similar to that h·n expression above, but it’s not quite the same. It’s also a vector dot product – or a scalar product, in other words, but, unlike that n vector, the ΔR vector is not a unit vector: it’s an infinitesimally small displacement vector. So we do not get some ‘component’ of ∇T. More in general, you should note that the dot product of two vectors A and B does not, in general, yield the component of A in the direction of B, unless B is a unit vector – which, again, is not the case here. So if we don’t have that here, what do we have? Let’s look at the (physical) geometry of the situation once again. Heat obviously flows in one direction only: from warmer to colder places – not in the opposite direction. Therefore, the θ in the h·n = h·cosθ expression varies from –90° to +90° only. Hence, the cosine factor (cosθ) is always positive. Always. Indeed, we do not have any right- or left-hand rule here to distinguish between the ‘front’ side and the ‘back’ side of our surface area. So when we’re looking at that h·n product, we should remember that that normal unit vector n is a unit vector that’s normal to the surface but which is oriented, generally, towards the direction of flow. Therefore, that h·n product will always yield some positive value, because θ varies from –90° to +90° only indeed. When looking at that ΔT = ∇T·ΔR product, the situation is quite different: while ∇T has a very specific direction (I really mean unique) – which, as mentioned above is opposite to that of h – that ΔR vector can point in any direction – and then I mean literally any direction, including directions ‘uphill’. Likewise, it’s obvious that the temperature difference ΔT can be both positive or negative (or zero, when we’re moving on a isotherm itself). In fact, it’s rather obvious that, if we go in the direction of flow, we go from higher to lower temperatures and, hence, ΔT will, effectively, be negative: ΔT = T2 – T1 < 0, as shown below. In any case, this is enough of a recapitulation. In fact, this ‘interim summary’ has become longer than the preceding text! We’re now ready to discuss what I’ll call the First Theorem of vector calculus in physics. Of course, never mind the term: what’s first or second or third doesn’t matter really: you’ll need all of the theorems below to understand vector calculus. You’ll say: so what? What do we do with this? Well… Nothing much for the moment, but we’ll need this result later. So I’d say: just hang in there, and note this is the first significant use of our del operator in a mathematical expression that you’ll encounter very often in physics. So just let it sink in, and allow me to proceed with the rest of the story. Before doing so, however, I should note that even Feynman sins when trying to explain this theorem in a more ‘intuitive’ way. Indeed, in his Lecture on the topic, he writes the following: “Since the gradient represents the rate of change of a field quantity, if we integrate that rate of change, we should get the total change.” Now, from that Δψ/ΔR = |∇ψ|cosθ formula, it’s obvious that the gradient is the rate of change in a specific direction only. To be precise, in this particular case – with the field quantity ψ equal to the temperature T – it’s the direction in which T changes the fastest. Now, I’ll refer you to Wikipedia for a good discussion of what a line integral really is, but I can’t resist the temptation to copy the animation in that article, because it’s very well made indeed. While it shows that we can think of a line integral as the two- or three-dimensional equivalent of the standard type of integral we learned to solve in high school (you’ll remember the solution was also the area under the graph of the function that had to be integrated), the way to go about it is quite different. Solving them will, in general, involve some so-called parametrization of the curve C.
However, this post is becoming way too long and, hence, I really need to move on now. The physical significance of the divergence is related to the so-called flux of a vector field: it measures the magnitude of a field’s source or sink at a given point. Continuing our example with temperature, consider air as it is heated or cooled. The relevant vector field is now the velocity of the moving air at a point. If air is heated in a particular region, it will expand in all directions such that the velocity field points outward from that region. Therefore the divergence of the velocity field in that region would have a positive value, as the region is a source. If the air cools and contracts, the divergence has a negative value, as the region is a sink. A less intuitive but more accurate definition is the following: the divergence represents the volume density of the outward flux of a vector field from an infinitesimal volume around a given point. The first equation basically says that electric charges cause an electric field. The second equation basically says there is no such thing as a magnetic charge: the magnetic force only appears when charges are moving and/or when electric fields are changing. Note that we’re talking closed surface here, so they define a volume indeed. We can also look at the flux through a non-closed surface (and we’ll do that shortly) but, in the context of Maxwell’s equations, we’re talking volumes and, hence, closed surfaces. Let me quickly throw in some remarks on the units in which we measure stuff. Electric field strength (so the unit we use to measure the magnitude of E) is measured in Newton per Coulomb, so force divided by charge. That makes sense, because E is defined as the force on the unit charge: E = F/q, and so the unit is N/C. Please do think about why we have q in the denominator: if we’d have the same force on an electric charge that is twice as big, then we’d have a field strength that’s only half, so we have an inverse proportionality here. Conversely, if we’d have twice the force on the same electric charge, the field strength would also double. Now, flux and field strength are obviously related, but not the same. The flux is obviously proportional to the field strength (expressed in N/C), but then we also know it’s some number expressed per unit area. Hence, you might think that the unit of flux is field strength per square meter, i.e. N/C/m2. It’s not. It’s a stupid mistake, but one that is commonly made. Flux is expressed in N/C times m2, so that’s the product (N/C)·m2 = (N·m/C)·m = (J/C)·m. Why is that? Think about the common graphical representation of a field: we just draw lines, all tangent to the direction of the field vector at every point, and the density of the lines (i.e. the number of lines per unit area) represents the magnitude of our electric field vector. Now, the flux through some area is the number of lines we count in that area. Hence, if you double the area, you should get twice the flux. Halve the area, and you should get half the flux. So we have a direct proportionality here. In fact, assuming the electric field is uniform, we can write the (electric) flux as the product of the field strength E and the (vector) area S, so we write ΦE = E·S = E·S·cosθ. Huh? Yes. The origin of the mistake is that we, somehow, think the ‘per unit area’ qualification comes with the flux. It doesn’t: it’s in the idea of field strength itself. Indeed, an alternative to the presentation above is just to draw arrows representing the same field strength, as illustrated below. However, instead of drawing more arrows (of some standard length) to represent increasing field strength, we’d just draw longer arrows—not more of them. So then the idea of the number of lines per unit area is no longer valid. ∇×E = (∂/∂x, ∂/∂y, ∂/∂z)×(Ex, Ey, Ez) = … What? In this formula, we once again have θ, the angle between A and B, but note that, this time around, it’s the sine, not the cosine, that pops up when calculating the magnitude of this vector. In addition, we have n at the end: n is a unit vector at right angles to both A and B. It’s what makes the cross product a vector. Indeed, as you can see, multiplying by n will not alter the magnitude (|A||B|sinθ) of this product, but it gives the whole thing a direction, so we get a new vector indeed. 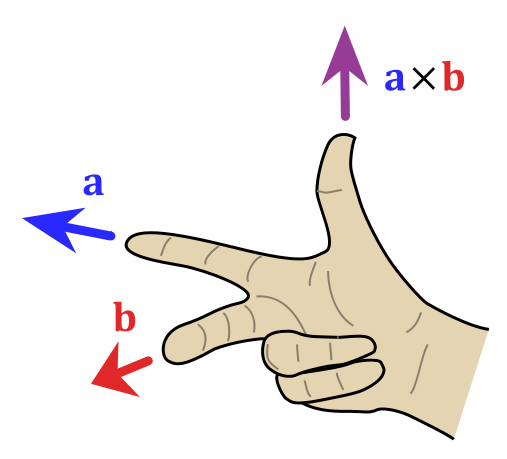 Of course, we have two unit vectors at right angles to A and B, and so we need a rule to choose one of these: the direction of the n vector we want is given by that right-hand rule which we encountered a couple of times already. The direction of the curl is the axis of rotation, as determined by the right-hand rule. The magnitude of the curl is the magnitude of rotation. I know. This is pretty abstract, and I’ll probably have to come back to it in another post. Let’s first ask some basic question: should we associate some unit with the curl? In fact, when you google, you’ll find lots of units used in electromagnetic theory (like the weber, for example), but nothing for circulation. I am not sure why, because if flux is related to some density, the idea of curl (or circulation) is pretty much the same. It’s just that it isn’t used much in actual engineering problems, and surely not those you may have encountered in your high school physics course! We’re surely not there yet. In fact, I doubt we’ll ever reach Dirac’s understanding of Maxwell’s equations. But let’s do what we can. So that’s the flux (through a non-closed surface). To illustrate the concept of circulation, we have not one but three diagrams, shown below. Diagram (a) gives us the vector field, such as the velocity field in a liquid. In diagram (b), we imagine a tube (of uniform cross section) that follows some arbitrary closed curve. Finally, in diagram (c), we imagine we’d suddenly freeze the liquid everywhere except inside the tube. Then the liquid in the tube would circulate as shown in (c), and so that’s the concept of circulation. In both formulas (flux and circulation), we have a product of two scalars: (i) the average normal component and the average tangential component (for the flux and circulation respectively) and (ii) the surface area and the distance around (again, for the flux and circulation respectively). So we get a scalar as a result. Does that make sense? When we related the concept of flux to the divergence of a vector field, we said that the flux would have a positive value if the region is a source, and a negative value if the region is a sink. So we have a number here (otherwise we wouldn’t be talking ‘positive’ or ‘negative’ values). So that’s OK. But are we talking about the same number? Yes. I’ll show they are the same in a few minutes. But what about circulation? When we related the concept of circulation of the curl of a vector field, we introduced a vector cross product, so that yields a vector, not a scalar. So what’s the relation between that vector and the number we get when multiplying the ‘average tangential component’ and the ‘distance around’. The answer requires some more mathematical analysis, and I’ll give you what you need in a minute. Let me first make a remark about conventions here. From what I write above, you see that we use a plus or minus sign for the flux to indicate the direction of flow: the flux has a positive value if the region is a source, and a negative value if the region is a sink. Now, why don’t we do the same for circulation? We said the curl is a vector, and its direction is the axis of rotation as determined by the right-hand rule. Why do we need a vector here? Why can’t we have a scalar taking on positive or negative values, just like we do for the flux? The intuitive answer to this question (i.e. the ‘non-mathematical’ or ‘physical’ explanation, I’d say) is the following. Although we can calculate the flux through a non-closed surface, from a mathematical point of view, flux is effectively being defined by referring to the infinitesimal volume around some point and, therefore, we can easily, and unambiguously, determine whether we’re inside or outside of that volume. Therefore, the concepts of positive and negative values make sense, as we can define them referring to some unique reference point, which is either inside or outside of the region. That also ‘explains’ why the vector cross product is non-commutative: A×B ≠ B×A. To be fully precise, A×B and B×A have the same magnitude but opposite direction: A×B = |A||B|sin(θ)n = –|A||B|sin(θ)(–n) = –(B×A) = –B×A. The dot product, on the other hand, is fully commutative: A·B = B·A. In fact, the concept of circulation is very much related to the concept of angular momentum which, as you’ll remember from a previous post, also involves a vector cross product. I’ve confused you too much already. The only way out is the full mathematical treatment. So let’s go for that. Some of the confusion as to what flux actually means in electromagnetism is probably caused by the fact that the illustration above is not a closed surface and, from my previous post, you should remember that Maxwell’s first and third equation define the flux of E and B through closed surfaces. It’s not that the formula above for the flux through a non-closed surface is wrong: it’s just that, in electromagnetism, we usually talk about the flux through a closed surface. A closed surface has no boundary. In contrast, the surface area above does have a clear boundary and, hence, it’s not a closed surface. A sphere is an example of a closed surface. A cube is an example as well. In fact, an infinitesimally small cube is what’s used to prove a very convenient theorem, referred to as Gauss’ Theorem. We will not prove it here, but just try to make sure you ‘understand’ what it says. Gauss’ Theorem: The (surface) integral of the normal component of a vector (field) over a closed surface is the (volume) integral of the divergence of the vector over the volume enclosed by the surface. Again, I said I would not prove Gauss’ Theorem, but its proof is actually quite intuitive: to calculate the flux out of a large volume, we can ‘cut it up’ in smaller volumes, and then calculate the flux out of these volumes. If we add it up, we’ll get the total flux. In any case, I’ll refer you to Feynman in case you’d want to see how it goes exactly. So far, I did what I promised to do, and that’s to relate the formula for flux (i.e. that (average normal component)·(surface area) formula) to the divergence operator. Let’s now do the same for the curl. So that’s the (scalar) product we already mentioned above. How do we relate it to that curl operator? Patience, please ! The illustration below shows what we actually have to do to calculate the circulation around some loop Γ: we take an infinite number of vector dot products C·ds. Take a careful look at the notation here: I use bold-face for s and, hence, ds is some little vector indeed. Going to the limit, ds becomes a differential indeed. The fact that we’re talking a vector dot product here ensures that only the tangential component of C ‘enters the equation’, so to speak. I’ll come back to that in a moment. Just have a good look at the illustration first. Note the subtle difference between the two products in the integrands of the integrals above: Ctds versus C·ds. The first product is just a product of two scalars, while the second is a dot product of two vectors. Just check it out using the definition of a dot product (A·B = |A||B|cosθ) and substitute A and B by C and ds respectively, noting that the tangential component Ct equals C times cosθ indeed. Stokes’ Theorem: The line integral of the tangential component of a vector (field) around a closed loop is equal to the surface integral of the normal component of the curl of that vector over any surface which is bounded by the loop.